Md. 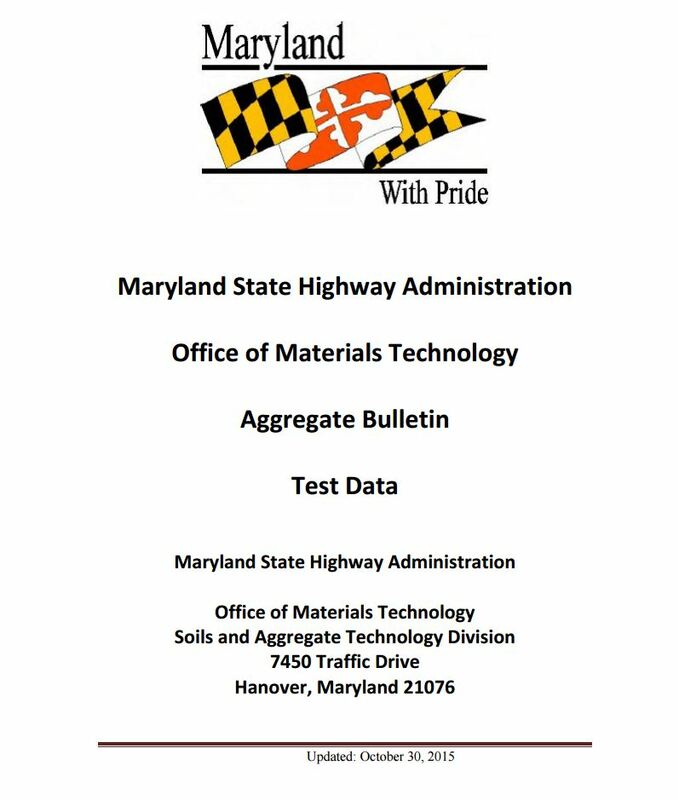 Aggregate Friction Testing and Prediction | The Maryland Asphalt Association, Inc.
Maryland SHA prides itself in ensuring that the highest quality aggregates are used in the state’s roads and highways. One way of doing that is through exhaustive aggregate testing of the aggregates used in the construction of the roads and highways. They list various qualities of the aggregate in their Aggregate Bulletin. You can access the Aggregate Bulletin by clicking on the image below. One very important factor to consider is the frictional characteristics of the aggregates that comprise the highest proportion of the asphalt mixes. 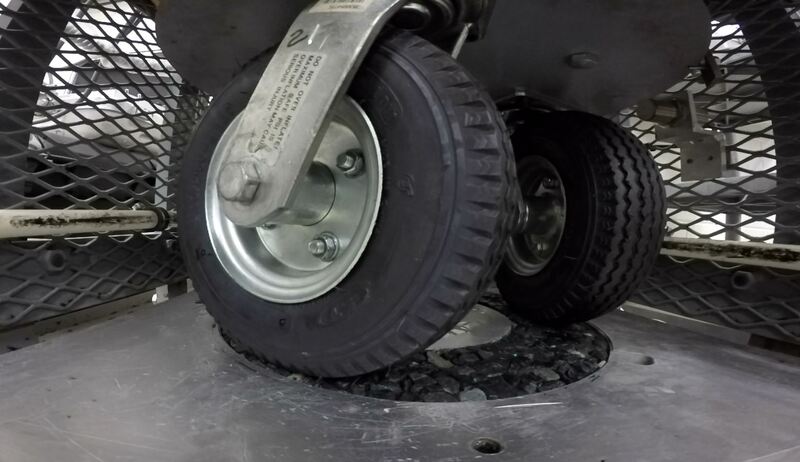 The state uses a standard practice for accelerated polishing of aggregates using a small-wheel circular track polishing device and measuring the surface frictional properties using a dynamic friction tester. These tests are documented in MSMT 215 and MSMT 216. 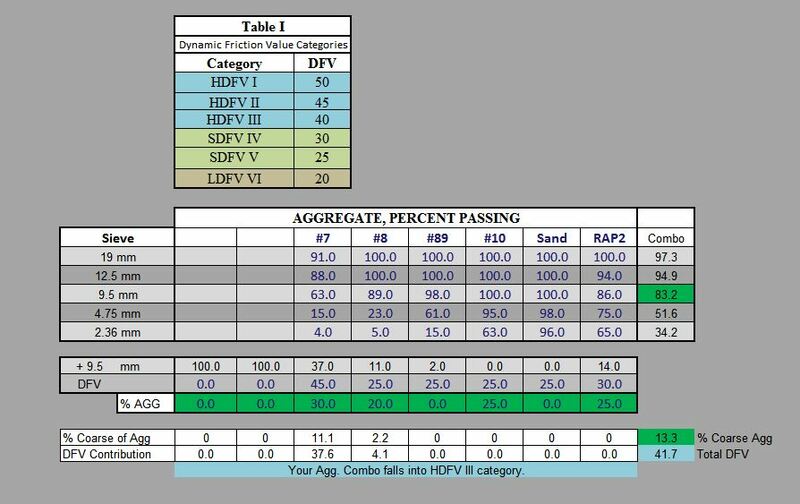 Once the aggregates are individually measured, the asphalt mix producer used a mathematical methodology to predict the frictional resistance of a combination of the aggregates. 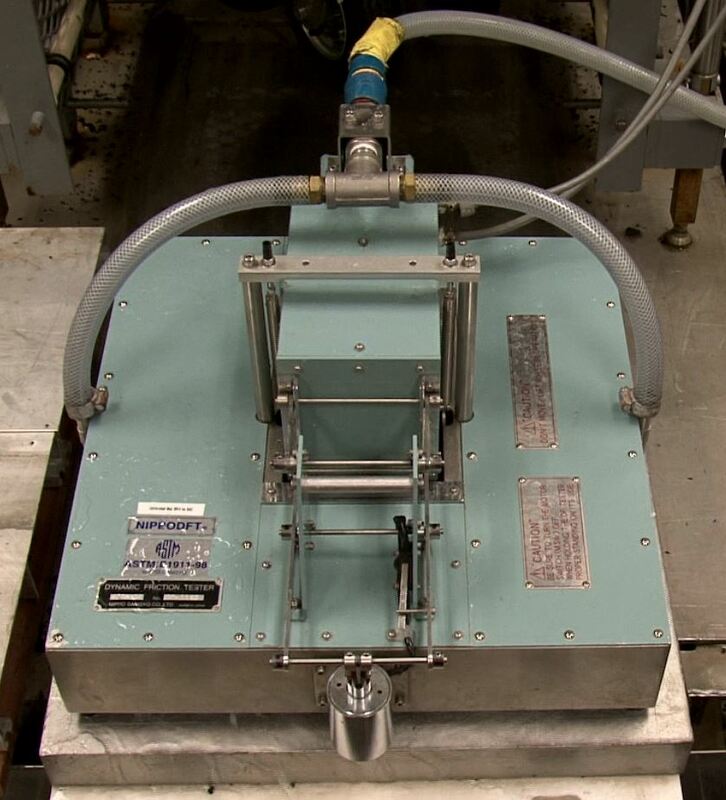 This methodology is spelled out in the Maryland Standard Method of Testing (MSMT) 416. A spread sheet that can be used to help with the calculations has been prepared and is free to download. The latest supplemental specification for materials are listed on the SHA website. Select Category 900 Materials from the dropdown box for a complete listing of updates.. There are no guarantees to its accuracy and its use is at the downloaders own risk. It does contain a micro that is used in performing the calculations. Any comments or issues you may encounter during its use should be directed to Marshall Klinefelter.